Hi readers! Hope you just got to the 1600-dust mark and want to craft your first epic card. By now you should be having all must have rare cards. Obviously, it might be better to have a legendary card compared to a rare card. However, you should know that there are very nice rare and epic cards that can win a match for you. Read my previous articles on rare cards and epic cards. If you are sure that you need to craft a epic card, What it should be? It is a natural card so you can use it with all the decks. It should be easy to play and should not be a powerful but dead in the player’s hand. When you’re crafting your first legendary, you want to use it in every deck you play. Furthermore, when it comes to the minor detail of actually playing the game, you are going to want to the card to be consistently super strong. 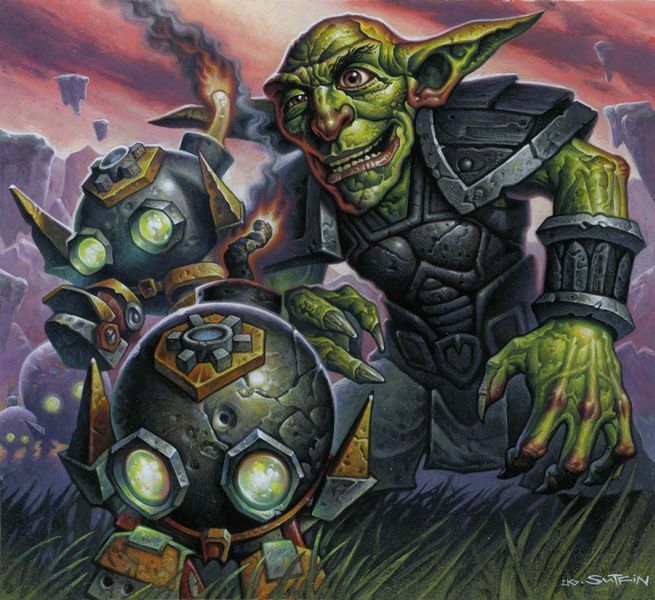 Dr. Boom is essentially a War Golem with the added bonus of the Boom Bots. This makes it very cost-efficient. Battlecry: Summon two 1/1 Boom Bots. Boom bots deal 1-4 damage to a random enemy minion on death.